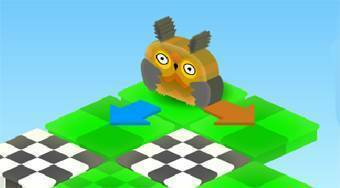 Do you like Owl Step? Share it with your friends. Owl Step is a very catchy flashing game in which your task will be to control the cute owl that you will move around the islands in the sky. Move as fast as you can on the islands, keep an eye on the steps to empty and try to score as many points as possible.